WOWSERS! Is it really August already? July went by with a blink of an eye. In many ways it seems like summer has been here for months because we started having 80 plus weather in March this year. I am sharing some projects from a few months ago and a few from this past month. I haven’t really been making much art because of duties with my other job and my brother’s doctor appointments/surgery. He has another to go through this month also. I hope you are surviving this summer heat. I’ve had my first taste of Michigan sweet corn a week ago, and hope to get more to freeze for the winter. Mmmm Mmm! Oh, my goodness! Gorgeousness! Especially that shadowbox. 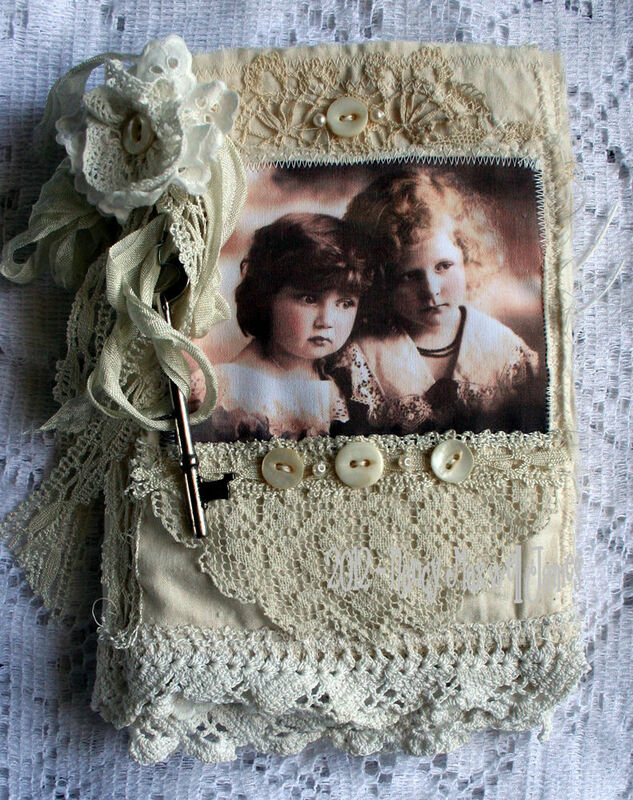 Thank you for sharing so much eye candy and inspiration…such lovely creations! Lucky you to have sweet corn! In Missouri it has all burnt up! I love all your lovely projects! Always a pleasure to view your creations.. especially love the shadow box..beautiful. I know, how can it be August? We’ve got our own tomatoes for about 3 weeks now.. in IDAHO!!! I’m from Iowa originally, and it’s painful to see those burned up corn fields. I always loved the fall when it was corn picking time on our farm. Fall isn’t so far away now.. and cooler weather. Oh there’s nothing like home-grown corn – it is the sweetest! We are fortunate to grow it here at home! 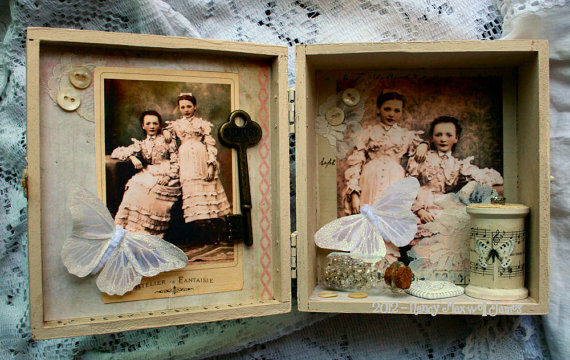 Love your newest works Nancy – the images you have used are just gorgeous especially the sisters in that shadow box! Wishing you still all the best with your brother and husband! Well, first of all, I hope your brother is doing well and I pray for a speedy recovery! :) And of course, Im in love with what you created here… fantastic and beautiful and so very very inspirational! You’ve used such beautiful images and everything turned out gorgeous, dear Nancy! I’m sorry to hear that you still have to worry so much and wish all the best for your brother’s surgery and health. Dear Nancy, your box is a most beautiful ,romantic and lovely piece, I love this image, and you used it with such wonderful things in your box. Hope all will be well with your brother ,and that he will soon be finished with controls and treatments. Nancy your work is devine. So beautiful new projects and so wonderful work. Happy August! It’s always a pleasure to revisit your gorgeous creations! I tried growing corn once!! Nancy, with all you are doing, I am so glad you found some time to create and these are all breathtaking! So much beauty in each piece! Thinking of you and your brother! Hugs! Gorgeous work as always, Nancy. Love the way your key is hanging esp. I agree 100%, can’t believe it’s August! I’ve been so busy this summer with the kids out of school, haven’t blogged, haven’t even been in the studio, it’s too hot anyway. But I had to come see what you’ve been up to and WoW……….I love it all Nancy. 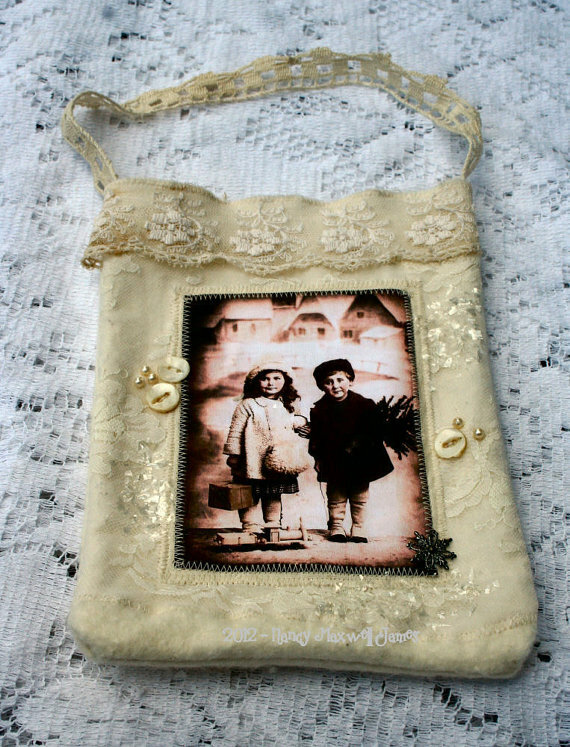 The lace book from a few posts ago, the prayer bunting, the cone, this sweet assemblage. You always inspire me in so many ways. In fact I may just go make something when I finish up here. Hope things are better with your husband and brother. 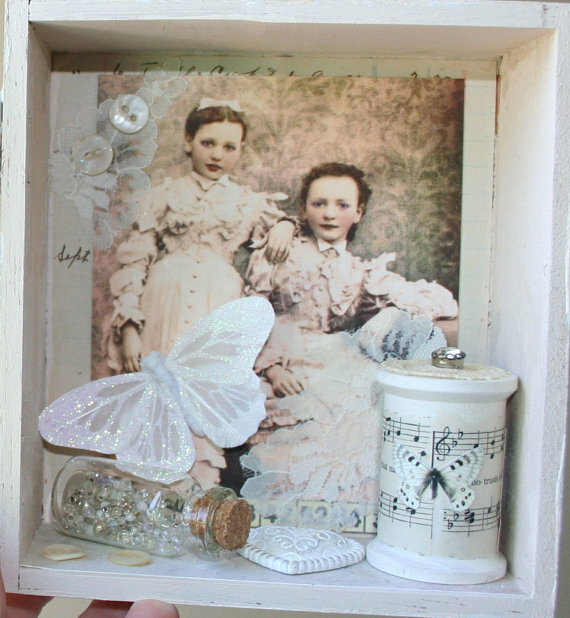 OMG, I love, love, love your shadowbox – fantastic !!! You made so many beautiful things while I was away. I have loved seeing all your wonderful artwork now that I’m back.